Residents of NYC’s Lower East Side could hardly believe their ears when they heard about a new proposal to create a permanent Greyhound bus stop at Seward Park, which is the nation’s oldest playground. If built, the station would bring hundreds of passengers through the quiet neighborhood and see 28 departures a day (more than 2 an hour), negatively impacting the area’s environment, air quality, traffic and safety. Lower East Siders aren’t taking the issue lying down though – they’ve started a petition to combat the proposal and are asking for your help. If you do not want to see a peaceful neighborhood park playground defaced by hundreds of waiting strangers, their luggage, bus fumes and food trash, please read on to see how you can oppose and prevent it. Residents of NYC's Lower East Side could hardly believe their ears when they heard about a new proposal to create a permanent Greyhound bus stop at Seward Park, which is the nation's oldest playground. If built, the station would bring hundreds of passengers through the quiet neighborhood and see 28 departures a day (more than 2 an hour), negatively impacting the area's environment, air quality, traffic and safety. Lower East Siders aren't taking the issue lying down though - they've started a petition to combat the proposal and are asking for your help. 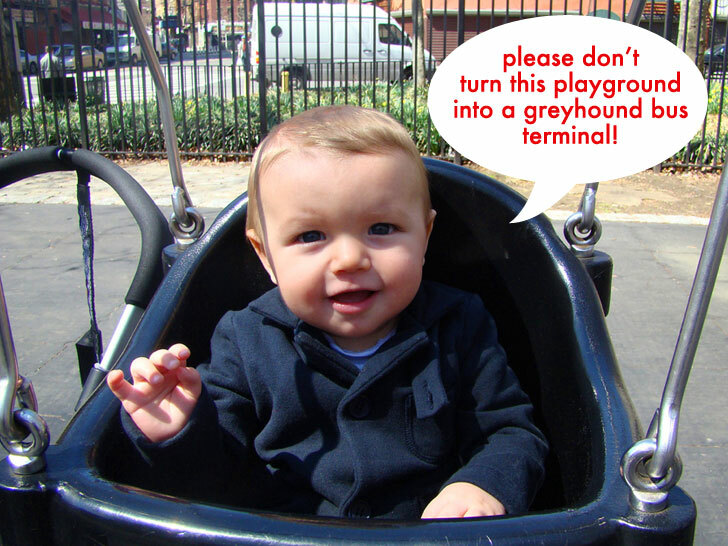 If you do not want to see a peaceful neighborhood park playground defaced by hundreds of waiting strangers, their luggage, bus fumes and food trash, please read on to see how you can oppose and prevent it.